Bihar School Examination Board, Patna is going to conduct the Compartmental examination from the students who have failed in one or two subjects. Only those students can be participated in the Examination Form online by contacting their respective school. Before this exam date, BSEB has been released the Exam date. Bihar Board has released the new exam date of Bihar Board Class 12th/Intermediate. Now Bihar Board Compartment Exam on 13th July 2018 to 20th July 2018. Below on this page, we have provided Bihar board 12th Science Compartmental Exam Date, BSEB Inter Arts Compartment exam Date & Bihar board 2018 Compartmental Examination date Sheet 2018. Bihar Board Compartmental Exam Date first time board announced that it will be conducted on 4th July 2018, then on 9th July 2018 and now Board will be taking an exam on 13th July 2018 to 20th July 2018. All the students are informed that as per new update exam date wise have to participate in their respective examination. To their completed detail of Bihar Board, 2018 Intermediate Compartmental Exam take Admit card from respective school. 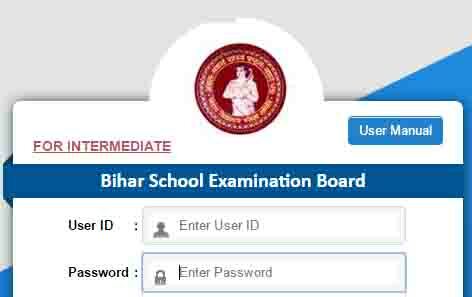 It can download from the Bihar board Official login portal which has been issued by the Board. Bihar Board all stream Arts/Science /Commerce /Vocational Compartmental Exam date 2018, Students have to appear in the exam as per their exam program which has been mentioned. Students are advised to prepare for their exam in a good way to score good marks. For best preparation students can use earlier exam date. Students have any more queries regarding Bihar Board 2018 Compartmental Exam Then you can ask you ask through the comment. We will provide the detail of it from the respective person of Bihar Board.